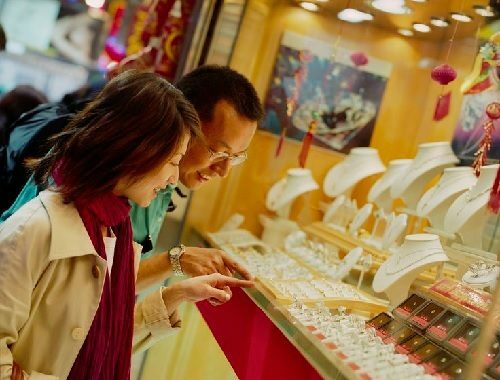 How Well Do You REALLY Know Your Jewelry Buying Customer? How well do you really know your jewelry customer? To market handmade jewelry successfully, you need to have a crystal clear picture of who you’re marketing to. Unfortunately, you can’t blindly make jewelry without regard to your customer and expect your business to be a success. You may already have a clear picture of what your typical customer wants in the way of necklaces, bracelets, and earrings. If so, you’ve done your research and have adjusted your marketing efforts to successfully reach your buyer. Congratulations! Many jewelry designers fail to take this step and end up being less than successful as a result. If you have yet to do this type of survey, the best way to start is to do some light market research at your next jewelry show or home party. To do this, you’ll need a notebook to record your observations. For each customer that makes a purchase of your handmade jewelry, you’ll want to record certain information including approximate age (guess on this one, don’t ask! ), whether your jewelry is being given as a gift (this is easy to ask as you ring them up), as well as any observations about their appearance (did they dress casually, artsy, professionally etc). These observations should be recorded in your notebook after your customer leaves. You might also want to make note of any jewelry they were wearing at the time of purchase (what type, precious metal, costume etc). It’s also a good idea to ask your customer if they found what they were looking for. If not, record what items they wanted that you didn’t have. Continue to do this at every scheduled show until you have at least fifty or so entries. Now, it’s time to go back and look at trends. Did the customers who purchase from you fit into a certain age range? Were they primarily buying your jewelry as gifts? Were many of your customers highly fashion conscious? Did they wear certain types of jewelry? These observations will be very helpful to you when you write your promotional materials and help you to determine what future designs to add to your collection. For example, if you find the majority of your buyers are giving your jewelry as gifts, it would be a smart marketing move to advertise free gift wrapping and gift card with every purchase. Gift buyers love the convenience of this. If your customers fall into a particular age range, such as baby boomers, maybe you’d like to appeal to their sense of nostalgia when you decorate your booth and have baby boomer music softly playing in the background. This creates a mood conducive to buying. The information you get from these surveys can be invaluable in determining how you market your jewelry line as well as the direction in which you take your jewelry designs. Try it and see if it helps you better define your customer and your jewelry business. Can Your Local Bead Store Help You Grow Your Jewelry Business?